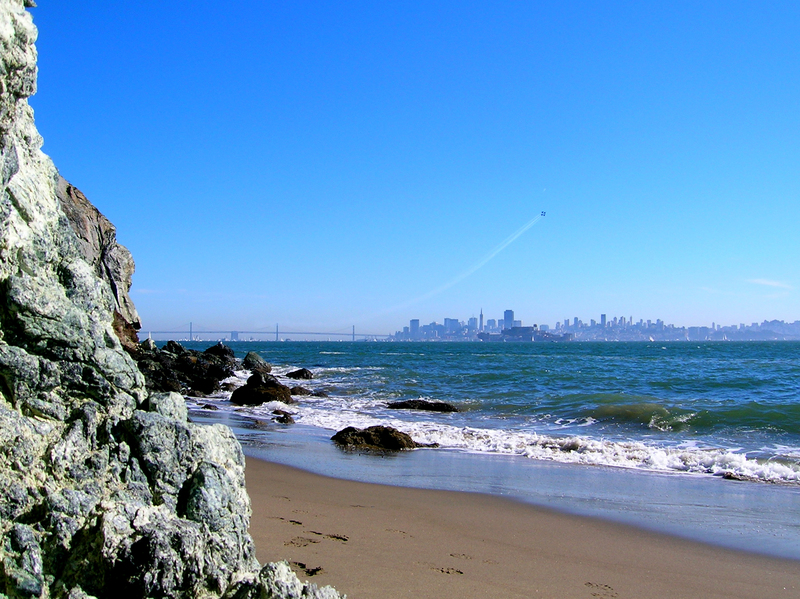 Those who take the time to visit Angel Island’s beaches are greatly rewarded. There are two main beaches and both are remarkable for their unmatched views of the San Francisco Bay and their uncrowded atmospheres. 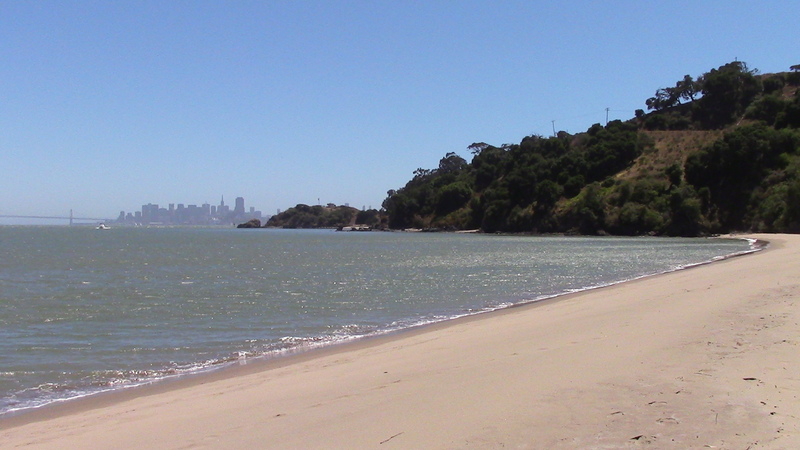 Many visitors don’t know about Angel Island’s beaches, have trouble finding them, or are hesitant about the walk. This blog post is here to help! Quarry Beach lies on the east side of the island a short ways down from East Garrison. Furnishing views of the East Bay and San Francisco, this beach is exceptional due to its generally calm winds, fine sands, and a length that allows for strolling. On the south of the island is Perles Beach. 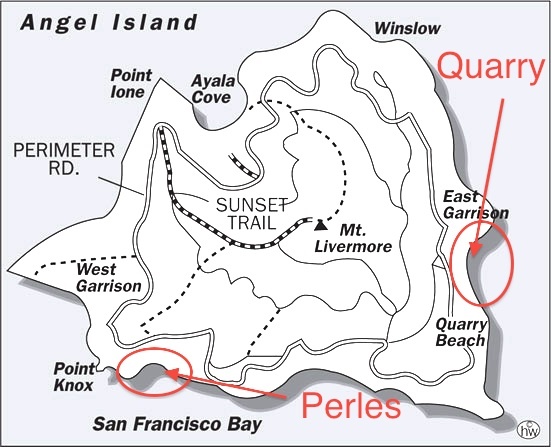 Perles is about a 1.5 mile walk along the Perimeter Road, then a few minutes down an unmarked path that begins just past Battery Ledyard. The extra effort is well worth it, as it is rare to find more than a handful of other visitors, and you’ll get a view that stretches from the Bay Bridge to the Golden Gate.